Impact of a hearing loss that is approximately 20 dB can be compared to ability to hear when index fingers are placed in your ears. Child may have difficulty hearing faint or distant speech. At 16 dB student can miss up to 10% of speech signal when teacher is at a distance greater than 3 feet. A 20 dB or greater hearing loss in the better ear can result in absent, inconsistent or distorted parts of speech, especially word endings (s, ed) and unemphasized sounds. Percent of speech signal missed will be greater whenever there is background noise in the classroom, especially in the elementary grades when instruction is primarily verbal and younger children have greater difficulty listening in noise. Young children have the tendency to watch and copy the movements of other students rather than attending to auditorily fragmented teacher directions. May be unaware of subtle conversational cues which could cause child to be viewed as inappropriate or awkward. May miss portions of fast-paced peer interactions that could begin to have an impact on socialization and self concept. Behavior may be confused for immaturity or inattention. May be more fatigued due to extra effort needed for understanding speech. Noise in typical classroom environments impede child from having full access to teacher instruction. Will benefit from improved acoustic treatment of classroom and sound-field amplification. May often have difficulty with sound/letter associations and subtle auditory discrimination skills necessary for reading. May need attention to vocabulary or speech, especially when there has been a long history of middle ear fluid. Depending on loss configuration, may benefit from low power hearing aid with personal FM system. Appropriate medical management necessary for conductive losses. Inservice on impact of “minimal” 16 – 25 dB hearing loss on language development, listening in noise and learning, required for teacher. Effect of a hearing loss of approximately 20 dB can be compared to ability to hear when index fingers are placed in ears. A 26 – 40 dB hearing loss causes greater listening difficulties than a "plugged ear" loss. Child can "hear" but misses fragments of speech leading to misunderstanding. Degree of difficulty experienced in school will depend upon noise level in the classroom, distance from the teacher, and configuration of the hearing loss, even with hearing aids. At 30 dB can miss 25-40% of the speech signal. At 40 dB may miss 50% of class discussions, especially when voices are faint or speaker is not in line of vision. Will miss unemphasized words and consonants, especially when a high frequency hearing loss is present. Child's ability to understand and succeed in the classroom will be substantially diminished by speaker distance and background noise, especially in the elementary grades. Barriers begin to build with negative impact on self esteem as child is accused of "hearing when he/she wants to," "daydreaming," or "not paying attention." May believe he/she is less capable due to difficulties understanding in class. Child begins to lose ability for selective listening, and has increasing difficulty suppressing background noise causing the learning environment to be more stressful. Child is more fatigued due to effort needed to listen. Noise in typical class will impede child from full access to teacher instruction. Will benefit from hearing aid(s) and use of a desk top or ear level FM system in the classroom. Needs favorable acoustics, seating and lighting. May need attention to auditory skills, speech, language development,speechreading and/or support in reading and self-esteem. Amount of attention needed typically related to the degree of success of intervention prior to 6 months of age to prevent language and early learning delays. 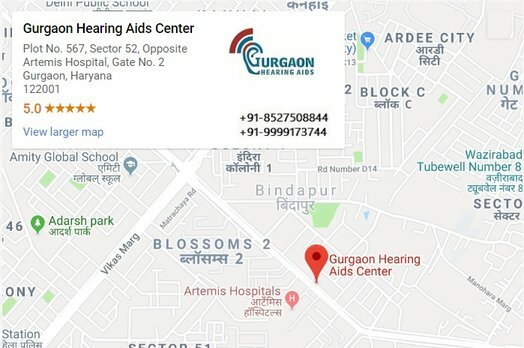 Teacher inservice on impact of a 26 – 40 dB hearing loss on listening and learning to convey that it is often greater than expected. Consistent use of amplification and language intervention prior to age 6 months increases the probability that the child's speech, language and learning will develop at a ormal rate. Without amplification, child may understand conversation at a distance of 3-5 feet, if sentence structure and vocabulary are known. The amount of speech signal missed can be 50% or more with 40 dB loss and 80% or more with 50 dB loss. Without early amplification the child is likely to have delayed or disordered syntax, limited vocabulary, imperfect speech production and flat voice quality. Addition of a visual communication system to supplement audition may be indicated, especially if language delays and/or additional disabilities are present. Even with hearing aids, child can "hear" but may miss much of what is said if classroom is noisy or reverberant. With personal hearing aids alone, ability to perceive speech and learn effectively in the classroom is at high risk. A personal FM system to overcome classroom noise and distance is typically necessary. Barriers build with negative impact on self-esteem as child is accused of "hearing when he/she wants to," "daydreaming," or "not paying attention." Communication will be significantly compromised with this degree of hearing loss, if hearing aids are not worn. Socialization with peers can be difficult, especially in noisy settings such as cooperative learning situations, lunch or recess. May be more fatigued than classmates due to effort needed to listen. 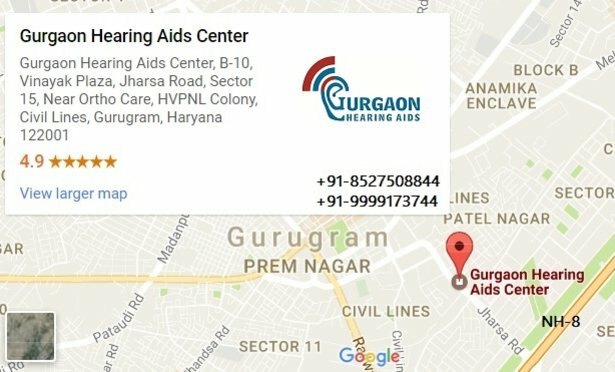 Consistent use of amplification (hearing aids + FM) is essential. Needs favorable classroom acoustics, seating and lighting. Consultation/program supervision by a specialist in childhood hearing impairment to coordinate services is important. Depending on early intervention success in preventing language delays, special academic support will be necessary if language and educational delays are present. Attention to growth of oral communication, reading, written language skills, auditory skill development, speech therapy, self-esteem likely. Teacher inservice required with attention to communication access and peer acceptance. Even with hearing aids, child will typically be aware of people talking around him/her, but will miss parts of words said resulting in difficulty in situations requiring verbal communication (both one-to-one and in groups). Without amplification, conversation must be very loud to be understood; a 55 dB loss can cause a child to miss up to 100% of speech information without functioning amplification. 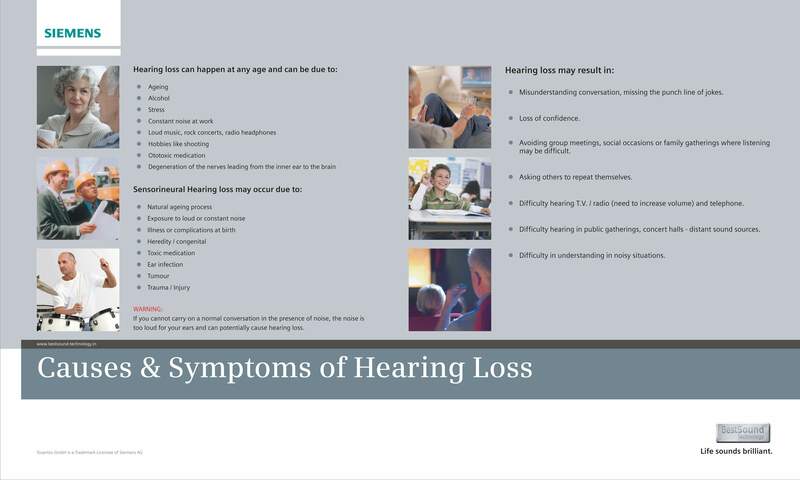 If hearing loss is not identified before age one year and appropriately managed, delayed spoken language, syntax, reduced speech intelligibility and flat voice quality is likely. Age when first amplified, consistency of hearing aid use and early language intervention strongly tied to success of speech, language and learning development. Addition of visual communication system often indicated if language delays and/or additional disabilities are present. Use of a personal FM system will reduce the effects of noise and distance and allow increased auditory access to verbal instruction. With hearing aids alone, ability to understand in the classroom is greatly reduced by distance and noise. If hearing loss was late identified and language delay was not prevented, communication interaction with peers will be significantly affected. Children will have greater difficulty socializing, especially in noisy settings such as lunch, cooperative learning situations, or recess. Tendency for poorer self-concept and social immaturity may contribute to a sense of rejection; peer inservice helpful. Full time, consistent use of amplification (hearing aids + FM system) is essential. May benefit from frequency transposition (frequency compression) hearing aids depending upon loss configuration. May require intense support in development of auditory, language, speech , reading and writing skills. Consultation/supervision by a specialist in childhood hearing impairment to coordinate services is important. Use of sign language or a visual communication system by children with substantial language delays or additional learning needs, may be useful to access linguistically complex instruction. Note-taking, captioned films, etc. often are needed accommodations. The earlier the child wears amplification consistently with concentrated efforts by parents and caregivers to provide rich language opportunities throughout everyday activities and/or provision of intensive language intervention (sign or verbal), the greater the probability that speech, language and learning will develop at a relatively normal rate. Without amplification, children with 71- 90 dB hearing loss may only hear loud noises about one foot from ear. When amplified optimally, children with hearing ability of 90 dB or better should detect many sounds of speech if presented from close distance or via FM. Individual ability and intensive intervention prior to 6 months of age will determine the degree that sounds detected will be discriminated and understood by the brain into meaningful input. Even with hearing aids children with 71- 90 dB loss are typically unable to perceive all high pitch speech sounds sufficiently to discriminate them, especially without the use of FM. Depending on success of intervention in infancy to address language development, the child’s communication may be minimally or significantly affected. Socialization with hearing peers may be difficult. Children in general education classrooms may develop greater dependence on adults due to difficulty perceiving or comprehending oral communication. Children may be more comfortable interacting with deaf or hard of hearing peers due to ease of communication. There is no one communication system that is right for all hard of hearing or deaf children and their families. Whether a visual communication approach or auditory/oral approach is used, extensive language intervention, full-time consistent amplification use and constant integration of the communication practices into the family by 6 months of age will highly increase the probability that the child will become a successful learner. Children with late-identified hearing loss (i.e., after 6 months of age) will have delayed language. This language gap is difficult to overcome and the educational program of a child with hearing loss, especially those with language and learning delays secondary to hearing loss, requires the involvement of a consultant or teacher with expertise in teaching children with hearing loss. Depending on the configuration of the hearing loss and individual speech perception ability, frequency transposition aids (frequency compression) or cochlear implantation may be options for better access to speech. If an auditory/oral approach is used, early training is needed on auditory skills, spoken language, concept development and speech. If culturally deaf emphasis is selected, frequent exposure to Deaf, ASL users is important.